You can try our Pro Version in the Cloud here. And you can download a copy of the Free Version here. Are you thinking about upgrading to the Pro Version of SpendMap so that you can manage your inventory in the system? 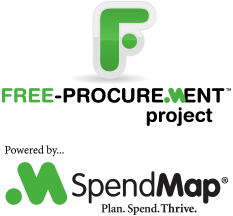 Did you know that SpendMap offers two separate modules for Consumable Inventory Control and Fixed Asset Management? And if you’d like to try it out for yourself, just sign up for our Free Cloud Demo. Are you looking for an easier way to approve your suppliers’ invoices for payment? Tired of all the paperwork, phone calls and emails? SpendMap’s Invoice Approval and A/P Interface Module really simplifies the process. Check out our new video tutorial, below. Or better yet, take a free test drive of our Pro Version and see for yourself. Need another reason to upgrade your free Purchase Order Software to the paid/commercial version of SpendMap? With the new Email Approval feature, you can approve and reject Requisitions right from the body of the email notification that you receive from SpendMap, without even having to log in to the system. And even better, the emails are mobile responsive, so you can approve Requisitions on your smartphone or tablet, even if you’re not connected to the Internet. Could we make that morning subway ride any more productive?